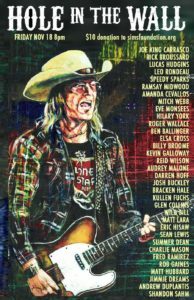 The songs of Doug Sahm are performed on at least a half-dozen Austin stages every night of the week. None of those nightspots were more dear to Sir Doug than the Hole in the Wall, where he sat in with pick up bands, shot serious pool, played baseball trivia every Saturday, and even helped the staff pick up empty Lone Star bottles. He contributed a medley of his hits and a Dylan tune to the club’s 20th Anniversary CD. On Friday, Nov. 18, top local musicians will gather at the storied dive bar on the drag to mark the anniversary of his passing and celebrate the timeless legacy of the international ambassador of Texas music, who stirred up rock, soul, jazz, latino, blues, and honky-tonk into a Tex-Mex tornado of groove. 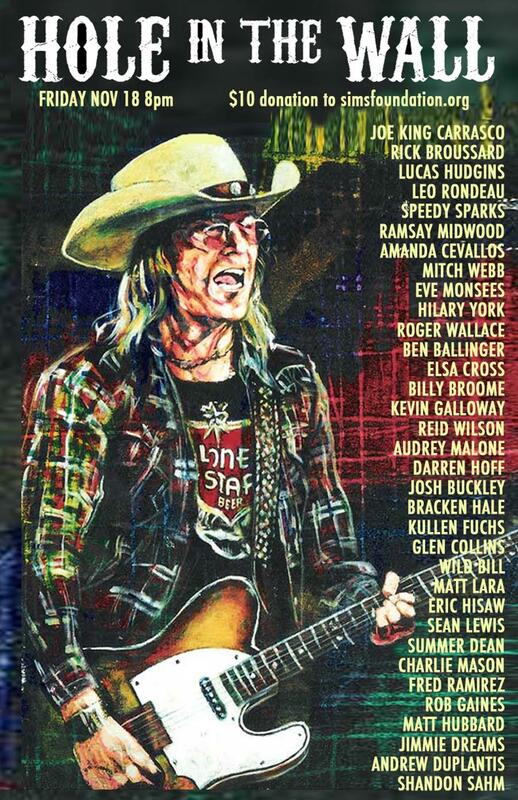 Featuring Joe King Carrasco, Rick Broussard, Lucas Hudgins, Leo Rondeau, Speedy Sparks, Ramsay Midwood, Amanda Cevallos, Mitch Webb, Eve Monsees, Roger Wallace, Ben Ballinger, Elsa Cross, Billy Broome, Kevin Galloway, Wild Bill, Darren Hoff, Josh Buckley, Bracken Hale, Kullen Fuchs, Eric Hisaw, Sean Lewis, Reid Wilson, Audrey Malone, Glen Collins, Summer Dean, Hilary York, Matt Lara, Andrew Duplantis, Kat Wilkes, Rob Gaines, Matt Hubbard, Jimmie Dreams, Shandon Sahm and more, subject to change. Audrey Malone on CD Release Show. Monday, September 19th at Strange Brew Austin, Texas.